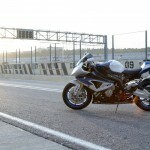 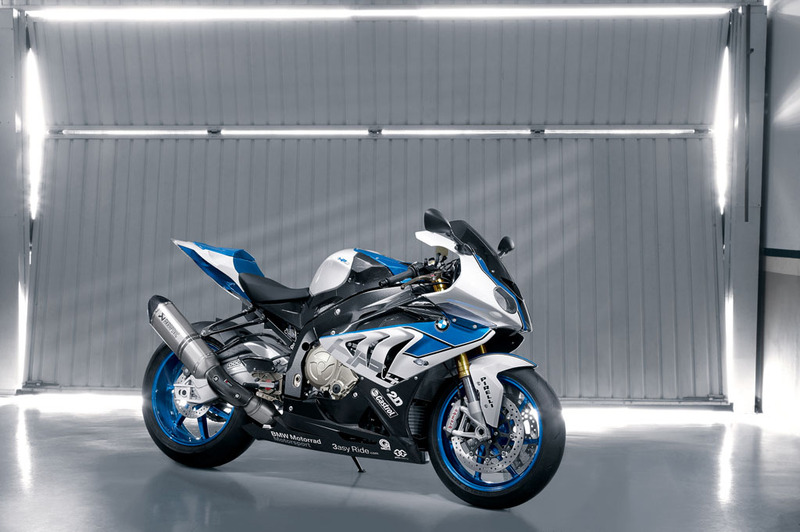 BMW unveiled a new, more track-oriented sportbike based on its highly-successful S1000RR. 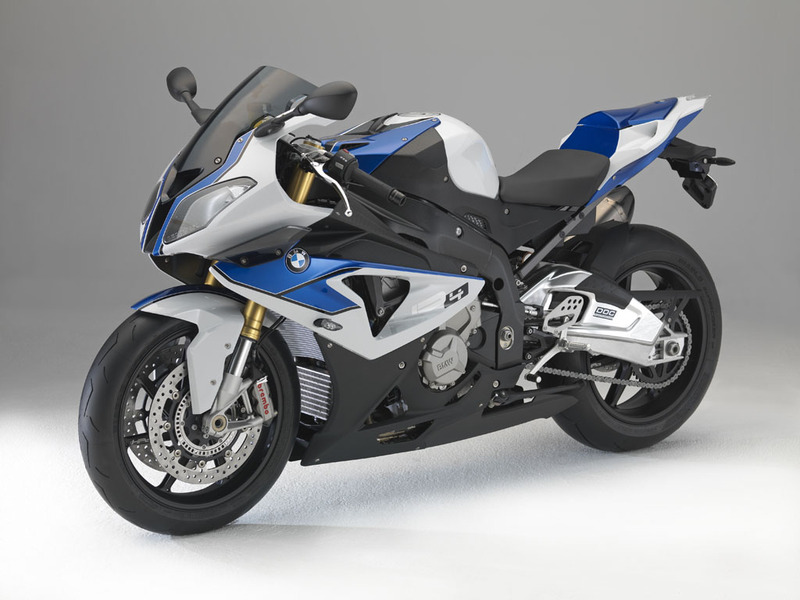 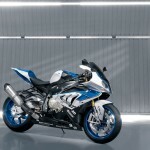 The new BMW HP4 is an evolution of BMW’s HP2 series with the S1000RR’s inline-four engine. Like the S1000RR, the HP4 claims 190 hp at 13,000 rpm and 83 ft-lb. 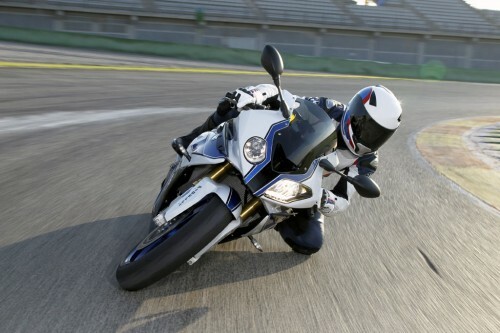 at 9750 rpm. 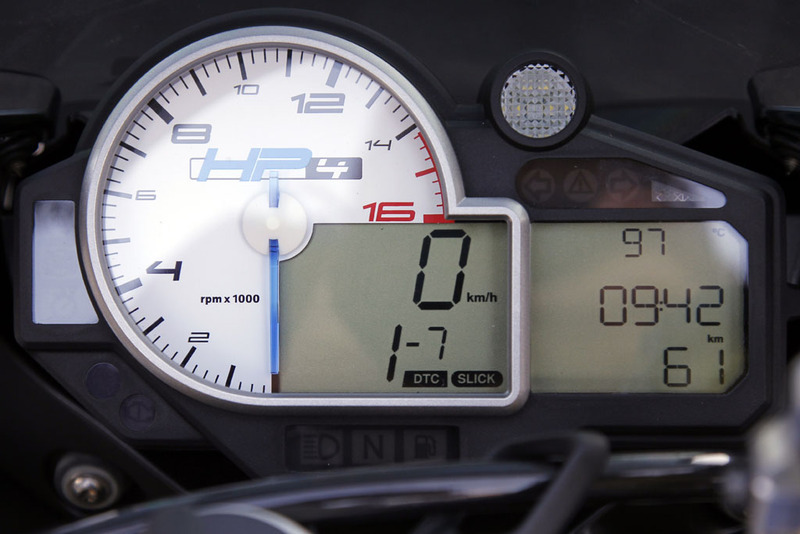 The HP4 however has been tuned to offer more torque from 6000 to 9750 rpm. 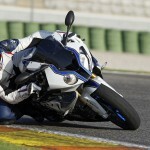 Also like its predecessor, the HP4 will have four ride modes, Rain, Sport, Race and Slick. 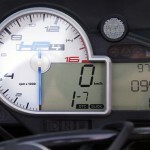 On the HP4 however, horsepower will have access to its full power in all four modes including Rain mode. 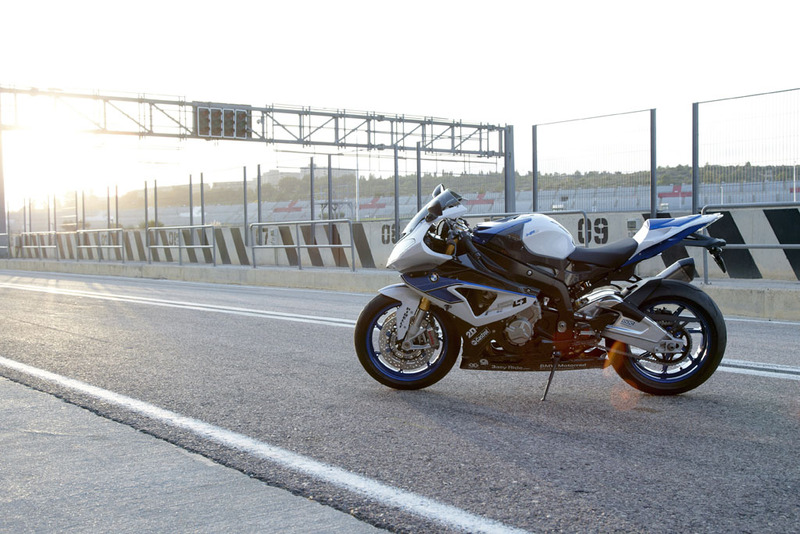 The Rain mode has also been tuned for a smoother torque curve from 2500 to 8000 rpm. 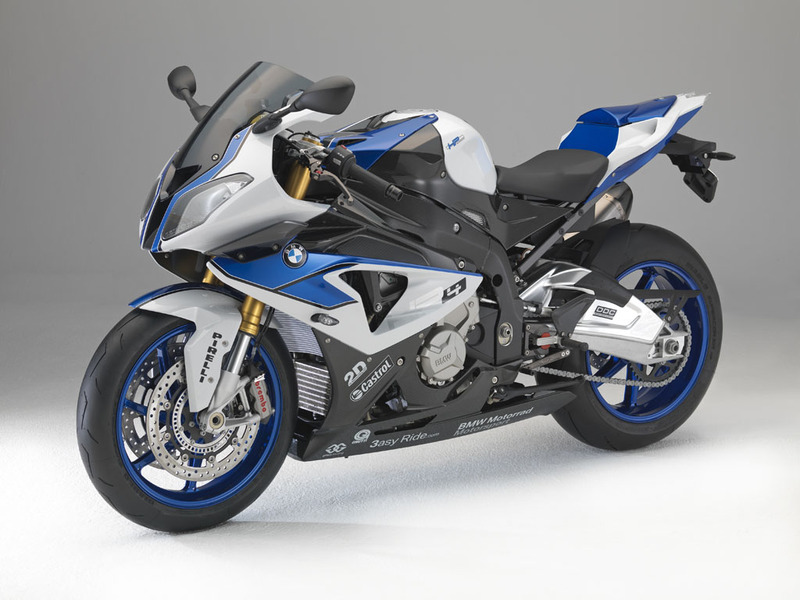 The HP4 will be the first production model to come with dynamic damping control (DDC), BMW technology that adapts the suspension’s damping characteristics to road conditions. 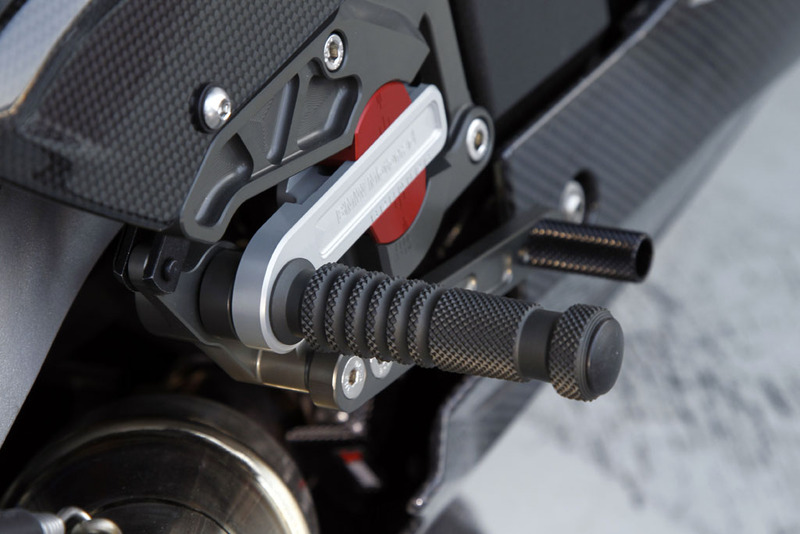 DDC uses information from sensors to electrically control the suspension’s regulation valves to optimize damping. 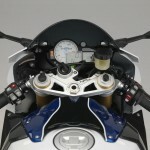 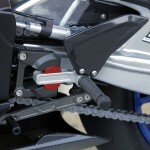 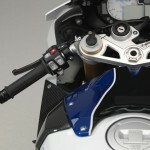 BMW is also introducing its new launch control system on the HP4. 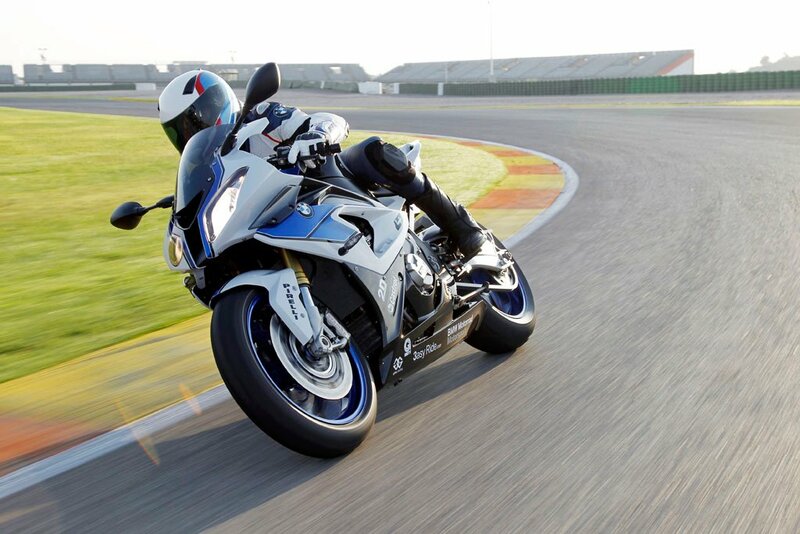 Available in Slick mode, launch control maximizes acceleration from a standing start. 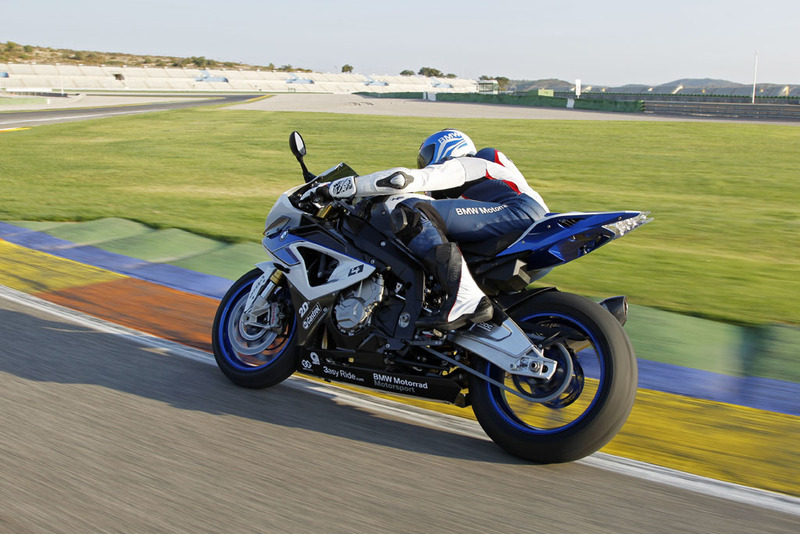 The system limits engine torque while maximizing torque transferable to the rear wheel. 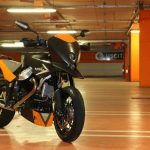 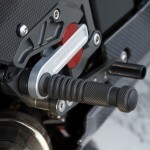 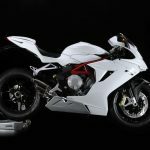 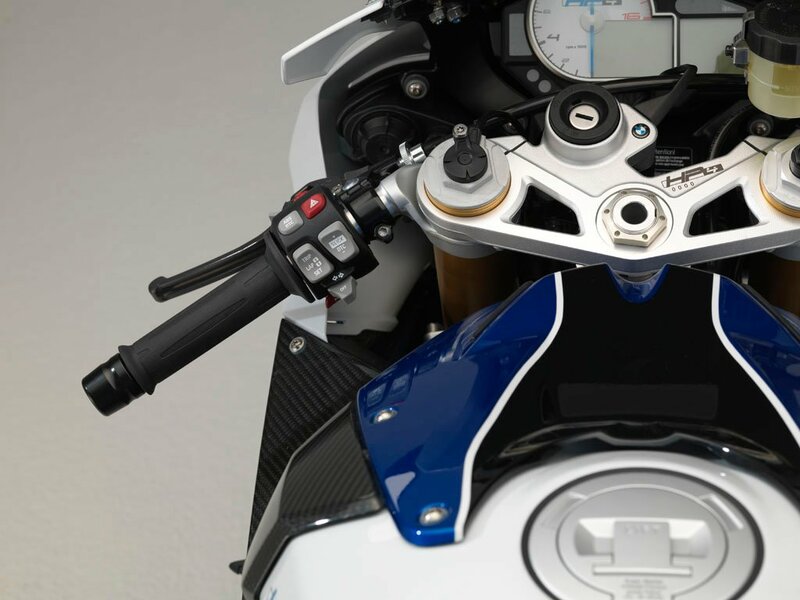 The rider will be able to focus on controlling acceleration from a start using just the clutch without having to worry about the throttle position. 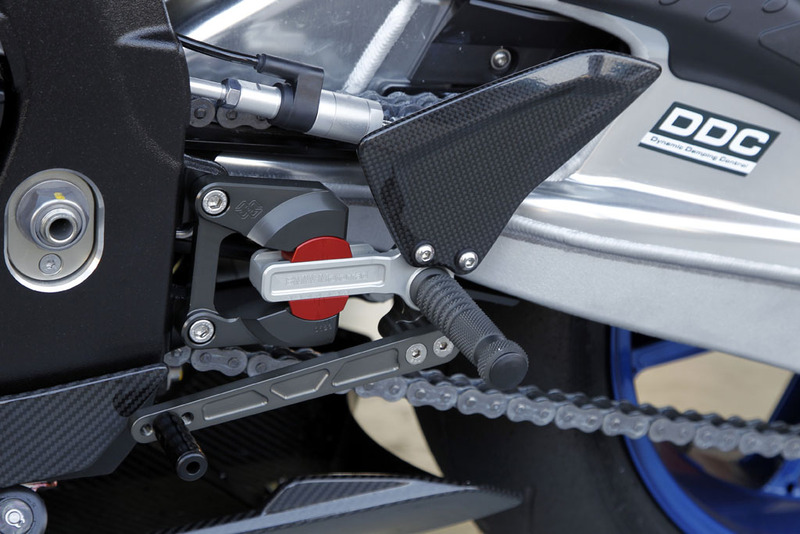 The launch control system will also work as an anti-wheelie aide by reducing engine torque when it detects front wheel lift. 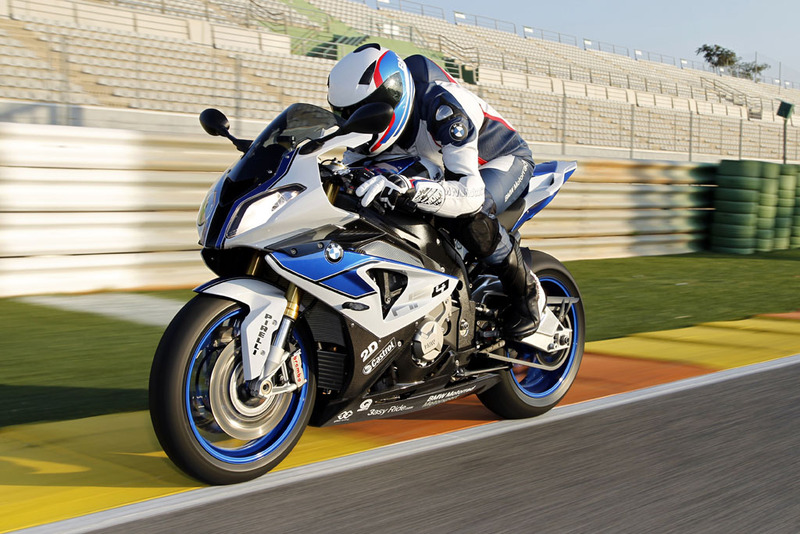 Like the rest of BMW’s lineup, the HP4 will come standard with anti-lock brakes. 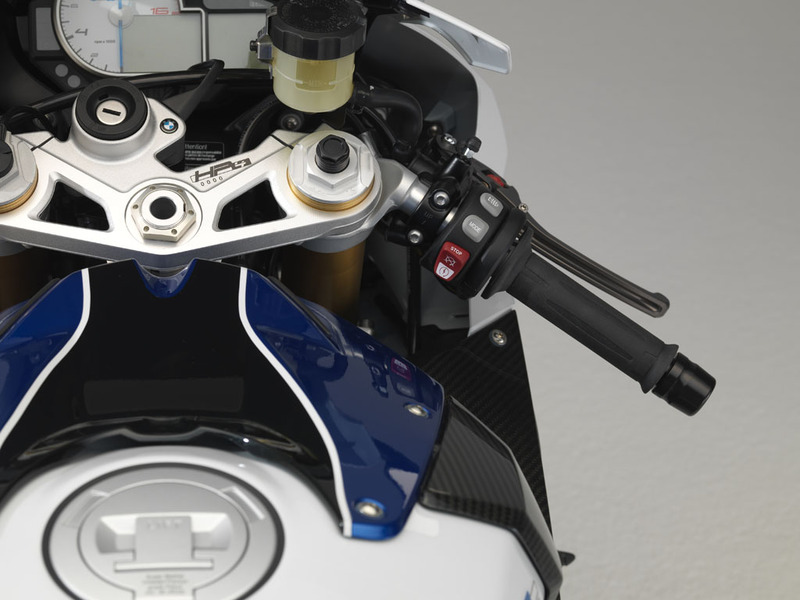 The HP4 will be equipped with the same Race ABS system introduced with the S1000RR. 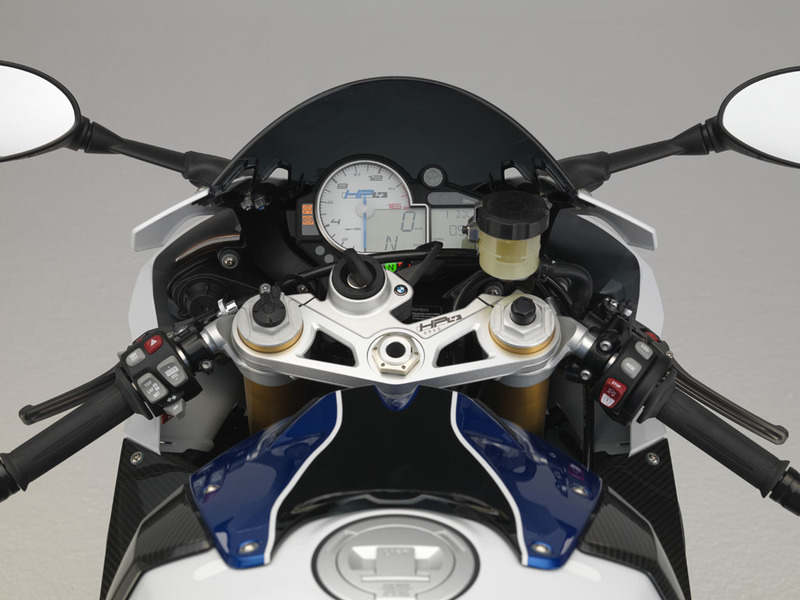 The HP4’s Race ABS however has a refined Slick mode with data collected from racing experience in Germany’s IDM Championship. 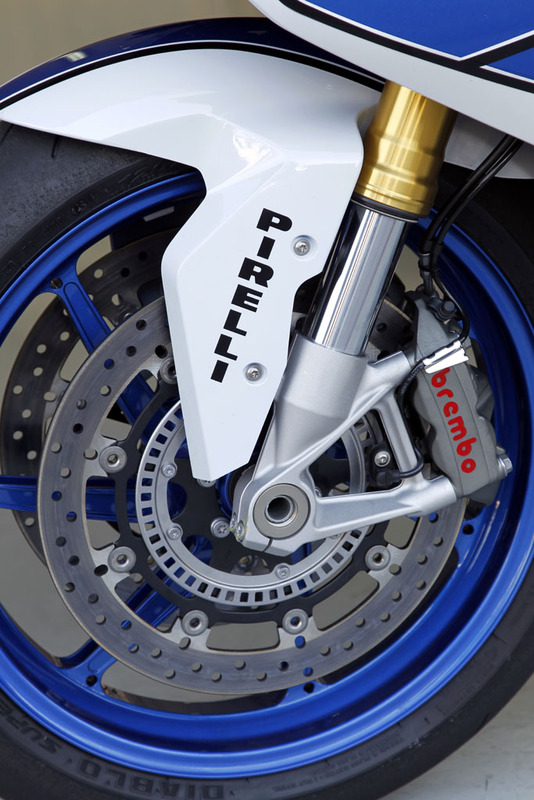 Unlike the S1000RR, the HP4 will come standard with Brembo monobloc calipers. 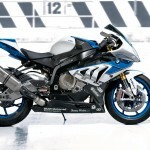 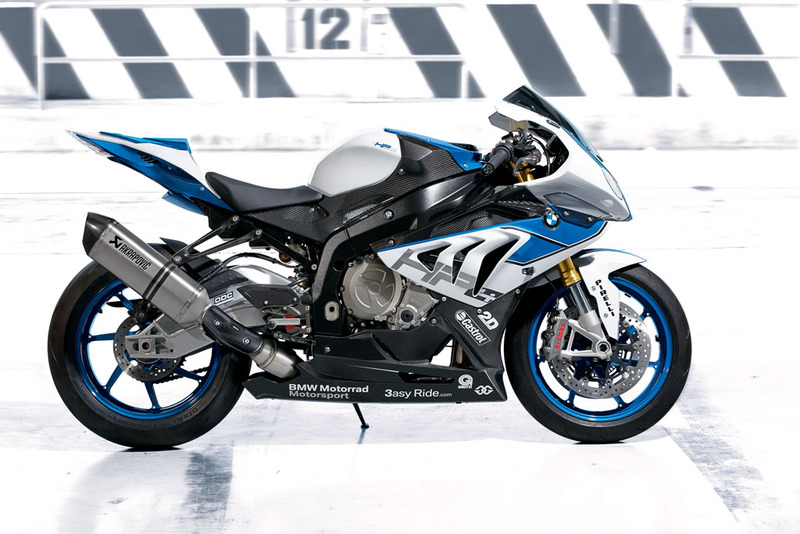 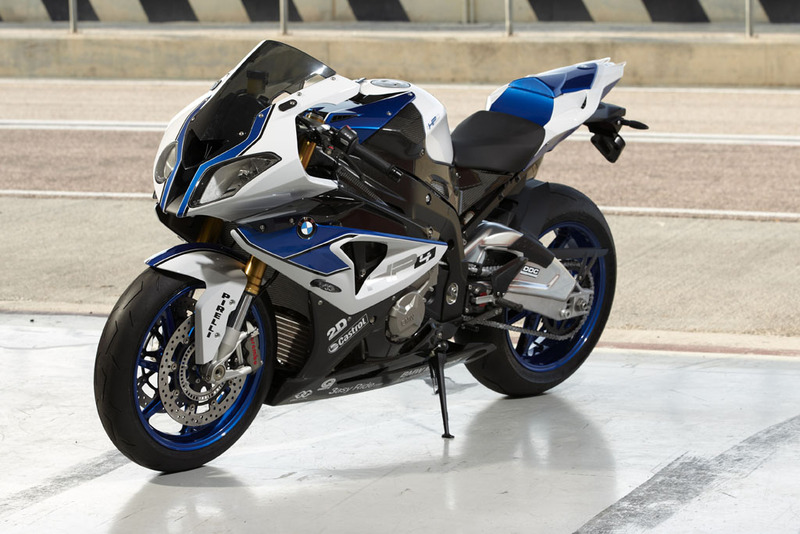 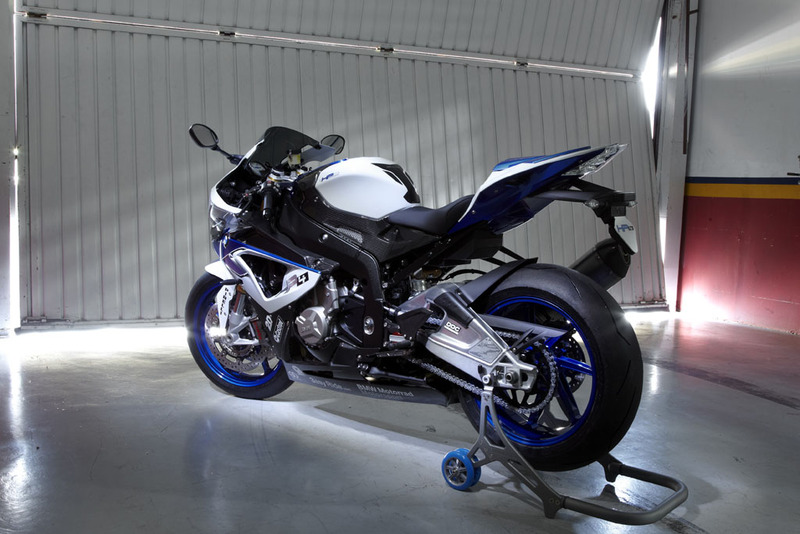 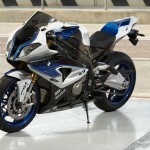 According to BMW, the HP4 weighs in at 199 kg (438.7 pounds) with a 90% full fuel tank and 169 kg (372.6 pounds) dry. 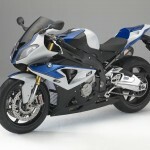 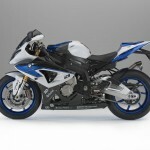 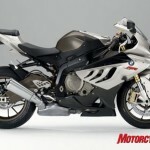 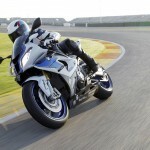 By comparison, BMW claims a wet weight of 451 pounds for the S1000RR and a dry weight of 398 pounds. 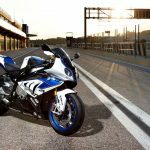 Some of the weight loss is from new seven-spoke forged alloy wheels with a lighter sprocket, shaving about 5 pounds compared to the S1000RR. 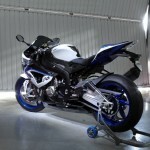 Another 10 pounds were saved by using a new titanium exhaust system. 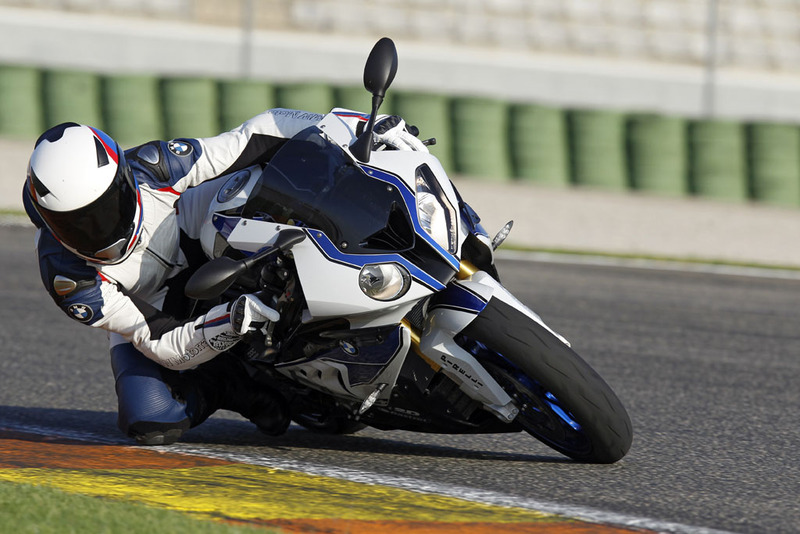 Styling-wise, the HP4 has the same asymmetric headlight and fairing design as the S1000RR. 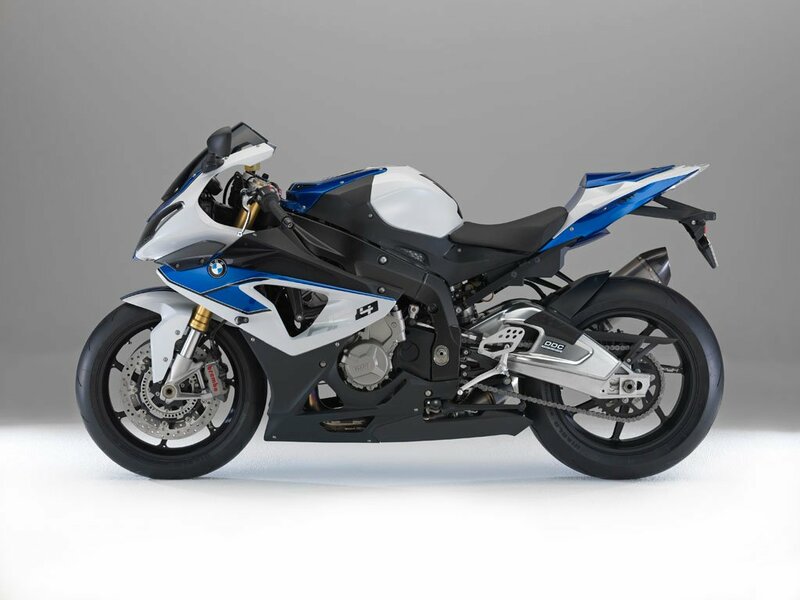 The HP4 however has a longer engine spoiler and a tinted windshield. 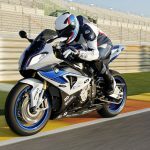 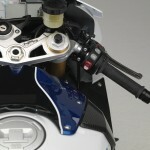 As if the new BMW HP4’s specs weren’t impressive enough, BMW will be offering a Competition Package upgrade with a number of carbon fiber components including a longer, enclosed engine spoiler, adjustable foot pegs, folding brake and clutch levers, metallic blue wheels and a sponsor sticker kit.